That what you’ll be saying when someone reaches across the table to deprive you of one of your waxy components when you’re playing Chroma Cubes, the new game from Charles Beauvais, on Kickstarter right now. 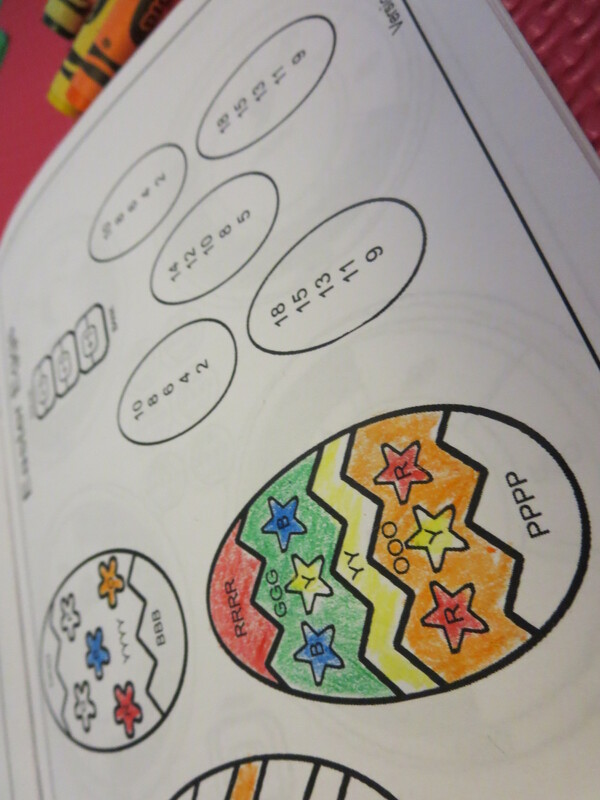 It’s all about colouring! That’s colouring, not coloring. Coloring isn’t a real word, silly. Get it right. This game consists of handfuls of awesome dice, each with faces that contain exactly two colours each. When you roll these dice, you decide to use one of the two colours you rolled on each die. What are you doing with these rolls? Glad you asked. Actually, I didn’t care if you asked or not… I’m going to tell you anyways. 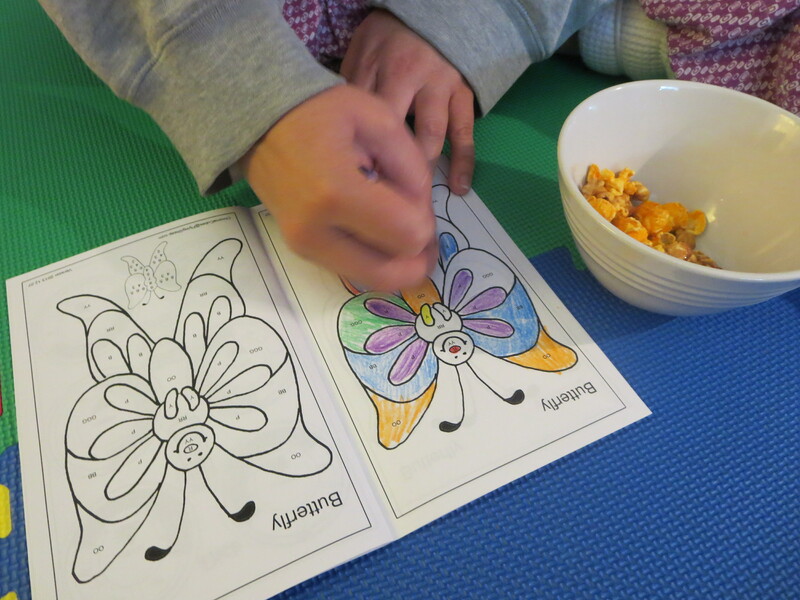 You’ve also got a colouring book, with each image representing a different puzzle. Images will be broken down into sections, and within these sections are coded colour counts. A butterfly’s wing might require YYY (three Yellows) and BB (two blues) and PPP (three purples) to complete it. You’ll need to assign a certain number of dice to each section in order be able to colour it in, and you’ll need to do that within 30 seconds. Once you assign your dice… you COLOUR! There’s also an element of trading cubes with other players… though we haven’t used that portion of the game yet. I suspect if we do, it would make things easier, but also add another delicious layer of strategy. So after you’re done colouring – if you managed to colour in a whole section before your opponents, you win points. Your opponents can still get points from completing those sections, they just get fewer than you. If a player ever hit a situation where they can’t use any of their six dice (which is a real threat as you narrow down your options), the game is over. Chroma Cubes is basically a push your luck dice game combined with a colouring element, and it’s a lot of fun. It’s surprisingly, devilishly, infuriatingly fun. My wife and I started clamouring over the crayons like little kids, eager to finish colouring in our picture books. If this sounds like a good time for you, I urge you to back the Kickstarter. This is a clever game that takes a simple concept and adds strategy to it. It makes me wish I had invented it. …but let’s be honest – as clever and cute as Chroma Cubes is, it’s not a game that you pull out to play with gamer buddies over a beer. It’s not something my wife and I (avid gamers) will want to spend our Saturday evenings playing in spite of Robinson Crusoe or Agricola or Five Tribes. That’s not the intended audience. Chroma Cubes is an absolutely fantastic family game, crafted out of pieces of my childhood. It’s easy to learn, yet it contains surprisingly more depth and subtlety than it first expresses. It’s a game I would play with my parents, or with my son when he reaches a gaming age, or with my 8 year-old niece on the weekends. It’s also a game I think could be good for non-gamers in a party scenario. I could see this going over well with the right group of friends, together for a dinner party, spending a bit of time after dessert with some dice and some Crayola and an ice wine. And a bowl of caramel corn. Cuz… why not? 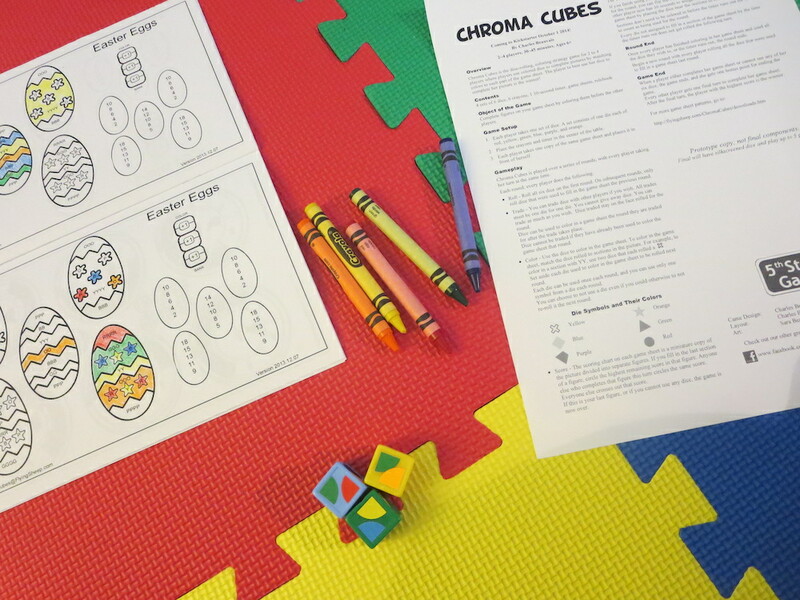 Chroma Cubes works for adults in small doses, or for small people in any dosage. It’s crafty and delightful, despite (or maybe because) it’s such a lighthearted affair… and that works for me. Can’t make it to GenCon?